We offer a full range of oven services in Morristown, New Jersey. Whether you are interested in the installation of a new built-in oven or fixing the microwave, we are the company to help. Do you want help with a stove or range problem? We take care of any cooking appliance in your kitchen. Rely on our company when you are in need of same day repairs and call us to cover any stove and oven repair Morristown request. Our techs are oven experts. In other words, we can fix any oven. Want help with your single or double built-in oven? Looking for microwave oven repair experts? Whichever oven you have and no matter what your needs are, come to us. Our pros have experience in all models by the largest brands and try to cover your requests as fast as possible. When it comes to gas oven repair needs, we provide rapid same day service. Problems with gas ovens or stoves can turn into nightmares if they are not handled right away. So do call us as soon as there is a problem with your gas oven or smell gas emitting from your stove. 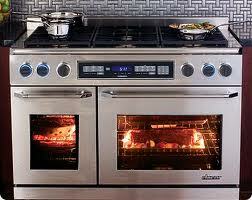 We provide immediate oven and stove repair. But we are equally fast when you want electric or gas range repair. These appliances actually are ovens and stoves in one. So whether there is an issue with the stove burners or the way the oven bakes, give us a call. We bring along the right spares to make replacements every time you need our assistance. Our trucks in Appliance Repair in Morristown are very well equipped and so each service is completed effectively and in no time. Since improper stove or oven installation will also cause trouble, leave such tasks to our team too. We can install electric and gas stoves, ranges, and ovens. In order to do any service with accuracy and meet your demands, our pros are updated and committed. You can count on us to fix your microwave and take care of your stove. Call us now for any oven repair in Morristown, NJ.